Ever since Sam was born, I’ve been looking forward to a 4 generation male portrait. I’d done a female line portrait with Scarlett up to her great-grandmother. It was finally time to do the same for me. While we were out there and dressed up, we took a few other configurations of family photos. 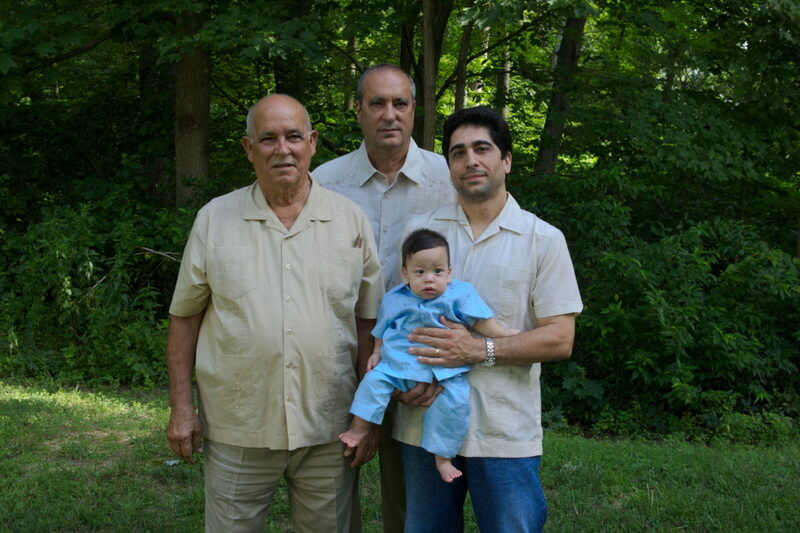 All the males are wearing guayaberas, a traditional shirt worn in the Caribbean, especially in Cuba. After having had my grandparents here for a week, I’ve been so used to thinking in Spanish that I keep trying to tell Danielle things in Spanish. Last night I even dreamed in Spanish. I guess it does show that those neural connections just snap right back when immersed in the language.